Delegates from Iran, the UK, the US, China, France, Germany, Russia, and the European Union have started a regular meeting of the Joint Commission of the Joint Comprehensive Plan of Action (JCPOA) in Vienna on Friday. Araqchi, who serves as the deputy foreign minister for political affairs, said “renegotiating the deal or similar ideas like adding an appendix to it do not basically exist in Iran’s approach to the document,” IRNA said in a Farsi report. 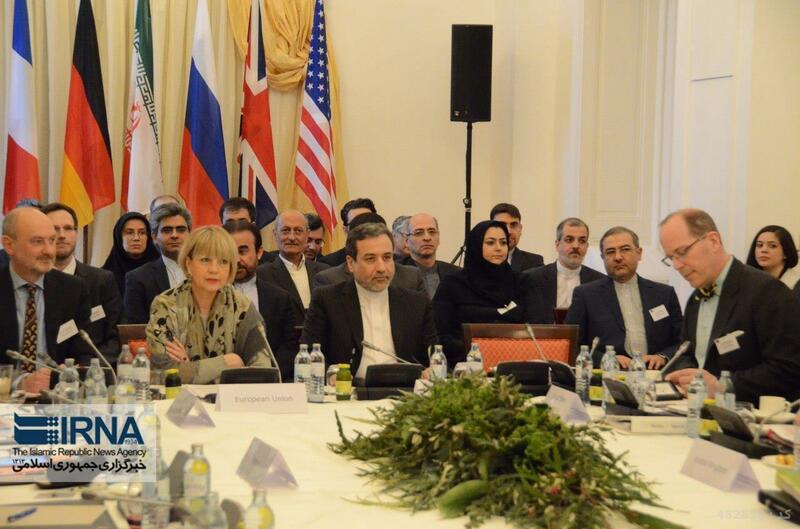 In a first, two women have joined the Iranian delegation to the fresh round of talks. The CEO of Iran’s flag carrier airline Farzaneh Sharafbafi, and Shiva Ravashi, a representative of the Central Bank of Iran, are the two women attending the talks. The meeting is being held as US President Donald Trump has vowed to walk away from the 2015 agreement in mid-May unless European countries join the US in addressing what he alleges are its “fatal flaws”. This week’s firing of US Secretary of State Rex Tillerson and the choice of anti-Iran hawk Mike Pompeo to replace him have fueled speculations that Washington will pull out of the deal. Iran has emphasized that it would not remain in the deal once the US withdraws from it. Eyes are now on Friday’s periodic meeting of the Joint Commission for an indication of American thinking.